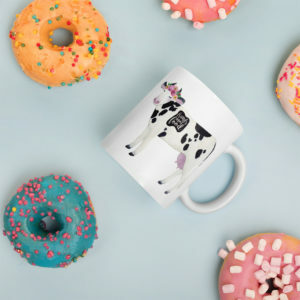 Whether you’re drinking your morning coffee, evening tea, or something in between – this mug’s for you! It’s sturdy and glossy with a vivid print that’ll withstand the microwave and dishwasher. To all of our fellow travelers on this road to plant based living, we say welcome… and thank you. Thank you for gracing us with your presence, thank you for your curiosity and thank you for being incredible company on this plant based path less traveled. We exist to be a beacon of peace, love and acceptance in the knowledge that there is a better way. A better way to feel, a better way to live, a better way to leave our planet for the generations to follow.